I am pleased to announce that I was awarded the commission to paint the 2017 Rose Festival Queen! I will be painting the portrait of Michaela Canete during the next year, and the finished portrait will be unveiled at the Oregon Society of Artists Rose Festival Show in June 2018. 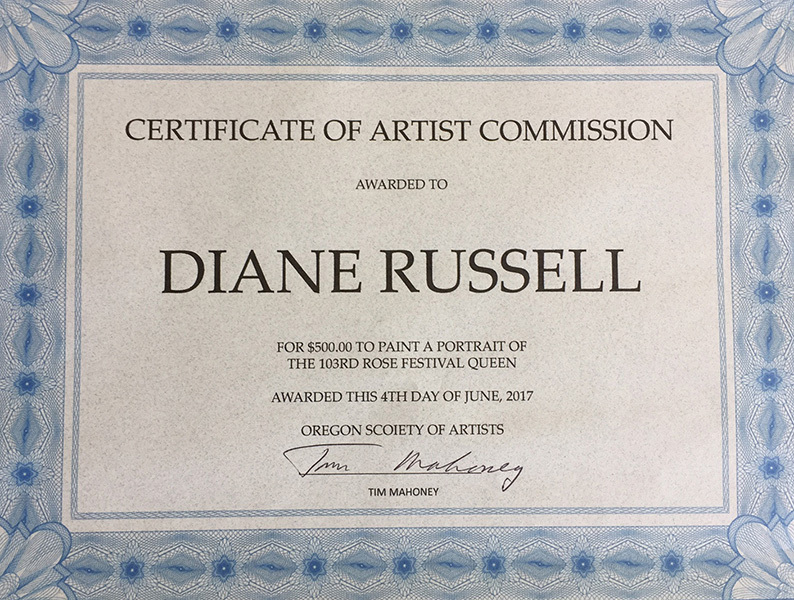 Many thanks to the Oregon Society of Artists and the Portland Rose Festival Association! Stay tuned for updates!